The Lie Detecting screenplay is available upon request for those interested in this project. Please contact us for a link to it and other information. 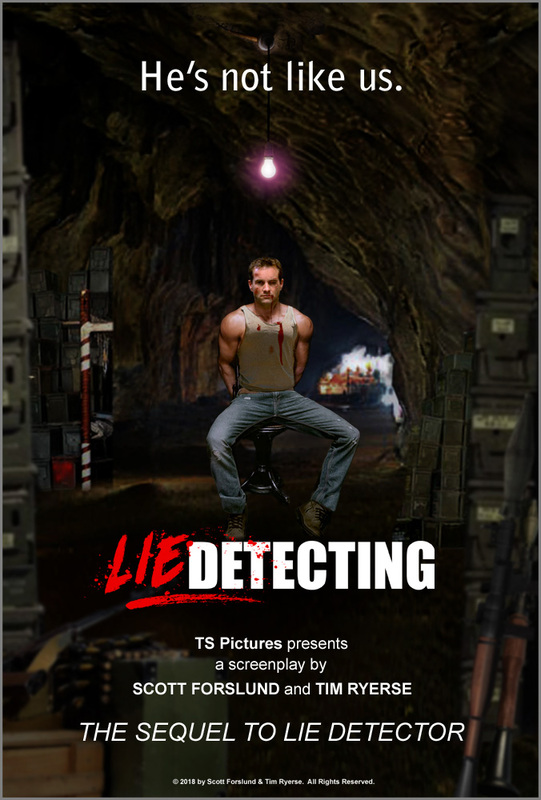 The story of David Wellman (played by RC Everbeck in Lie Detector) continues with Lie Detecting, the sequel screenplay. Seven years after a brush with death triggers a unique ability to detect deception, FBI Special Agent David Wellman finds himself tracking a treasonous former agent in Pakistan. Using his lie detecting skills to reverse interrogate his terrorist captors, David learns the agent has orchestrated a secret missile deal. But the CIA fears David has gone rogue and charge his former partner and best friend, Spence McKenzie, with bringing him back to the United States. Reunited in the tribal areas bordering Afghanistan, Spence discovers David’s skills have progressed to a new level. Joining forces, they uncover a plot to attack the USS John C. Stennis carrier group in the Arabian Sea. Complicating the mission is David’s son Matt, now a budding journalist attending a peace conference in Bishkek, Kyrgyzstan. When the terrorists target him, David must balance the threat to his son’s life with stopping the attack on the Stennis. With the unwavering support of his wife Kate, David embarks on a career-ending plan to protect his son, save his best friend’s life, and expose a conspiracy of mass destruction. © 2018 by Scott Forslund & Tim Ryerse. All Rights Reserved. A Rich Media PDF version of the screenplay contains over 100 embedded stills, video, and audio that includes song suggestions, pre-production design, potential casting, location ideas, visual effects design and art direction. © 2018 by Scott Forslund & Tim Ryerse.